The Government of Edo State has signed a Memorandum of Understanding with the Nigeria Institute of Welding (NIW) to establish a fabrication yard in the state. 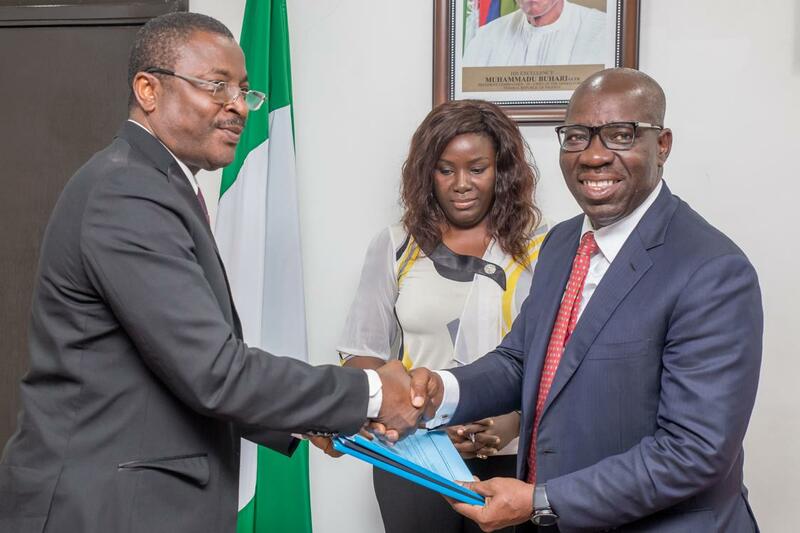 Signing the MoU at Edo State Government House in Benin on Thursday, the state governor, Mr Godwin Obaseki, revealed that the MoU was to fast-track industrialisation in the state, assuring the body of power supply to the proposed fabrication site in the state. He said, “Industrialisation is at the core of my administration; at the core of industrialisation is fabrication, and welding drives fabrication. We are very excited to work with you and it is an understanding that we will give life to,” he said. He noted that Human Capital was needed to coordinate all aspects of development and commended the institute for its initiative to train human capacity in state, adding that the MoU with the institute would give the state global access to welding processes and technological capacity to have welding colonies. Meanwhile, the President of the Institute, Dr Solomon Edeberi, said the signing of the MoU went to show the level of confidence the state government had in the institute. Edeberi assured that the team working on the fabrication project would bring its wealth of experience to bear to justify the confidence reposed on them, and that the institute would work with all aspects of the state to ensure that professionalism was inculcated in technical training. He added, “We will work to actualise your vision of a technologically driven state and bring up a centre for welding and technology.